Kimberly Silk is a librarian with a background in academic and data librarianship and a passion for conducting research to evaluate how libraries impact their communities. She is co-author of “So Much More: The Economic Impact of Toronto Public Library on the City of Toronto,” published in 2013 and the first library economic impact study of its kind in Canada. As Principal Consultant of BrightSail Research, she continues to work with public libraries across Canada to extend this methodology. In 2014 she created the Library Research Network, a not-for-profit, curated, web-based repository of research relevant to public, academic, government and special libraries. Her most recent collaboration with Dr. Bill Irwin, “Creating a Culture of Evaluation: Taking Your Library from Talk to Action“, was published by OLA Press in April 2017. 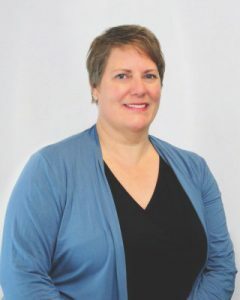 Since 2015 she has worked with the Canadian Research Knowledge Network (CRKN) as Special Projects Officer where she collaborates with academic libraries and other stakeholders to coordinate research projects to support transformations in scholarly communication. From 2008 to 2015 Kim was the Data Librarian at the Martin Prosperity Institute (MPI) at the University of Toronto. At MPI, she developed integrated library and research services to support the MPI research process, and gained expertise in the role of public assets, such as libraries, parks, schools and museums, on the prosperity of cities and regions.